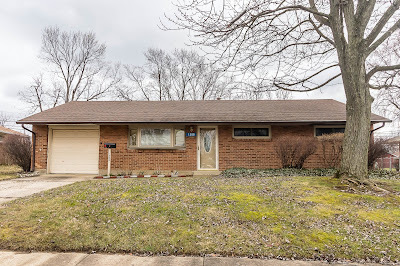 MUCH LOVED ALL BRICK RANCH HOME ON APPROX. ¼ ACRE MATURE TREED AND FENCED LOT! Nearly ~1,200 SF! Spacious Living Room opens to the Dining Room and eat-in Kitchen. First Floor Laundry, Screened Porch walks out to rear yard. First Floor Owner’s Suite with private Bath. Neutral, clean and ready to move right in! Community Park and close to everything! 3 BRs and 2 Full Baths. Reynoldsburg Schools. Only $119,900! Call DeLena Today!